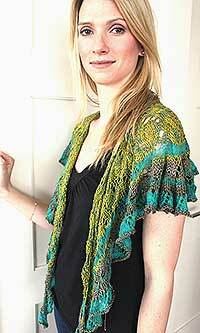 Artyarns Knitting Kit - Every Which Way Shawl Kit! The kits above in all their splendor! 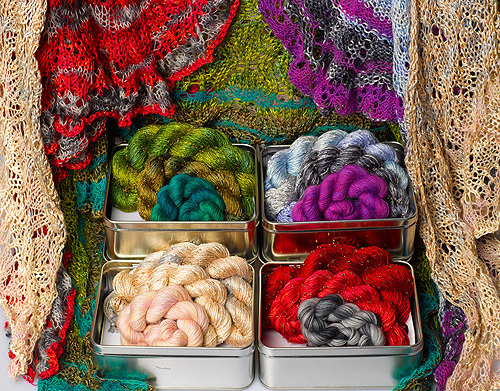 Combining Beaded silk light, and cashmere 1 (Artyarns Lace Cashmere) in a decorative tin box, this is a fabulous project, and makes a GREAT GIFT as well. Make them all and wear them together - they are shockingly fabulous! 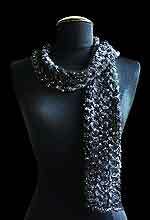 Deceptively simple pattern uses Beaded Rhapsody with sequins and silk mohair to create the ultimate knit scarf. 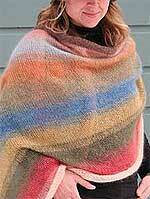 Free with any Artyarns Purchase, or available in this KnitKit Fantastic new Artyarns SPLASH Jacket Looking for a fabulous project - join the knitalong with the ARTYARNS Multidirectional Shawl Group on Yahoo!It uses 2 skeins of Artyarns Silk Mohair (regular or with glitter) This fabulous oversized shawl or blanket comes prepacked in 5 fantastic tonal colorways!